artifacts by one lousy percent. How come that's so obvious? Everybody hears the difference. Even if we were just talking about infinitesimal amounts, the fact that their removal is so plainly audible suggests how important this subject really is. In fact, it speaks far louder than if we were talking wholesale 100% distortion removal. Capiche?" Touché! No fugazi, that. Equally reasoned, de Lima explained that his particular approach was merely one of many different ways to pursue audio design. There certainly were others equally as (or even more) important. Alas, none should be embraced in isolation. Everything interacts and must be considered in toto for peak performance. He simply felt his scheme was one particular aspect that had thus far been overlooked. He believed strongly that it should henceforth be included in a comprehensive assessment of how an audio component performs not in limbo but as part of a system. When we consider Zanden Audio's new flagship digital separates, the same reasoning applies. As with AUDIOPAX, the interaction of the two components has been accounted for by providing an I²S master-clock interface. The use of apparently outdated chips; the avoidance of up/over-sampling; the importance placed on HF phase linearity; the employ of vacuum tubes and -- in the new transport -- the reduction of jitter to previously unthinkable levels; those are all very specific addresses. They attack the skinning of the black digital cat in a fashion that designer Yamada-San considers most vital (or perhaps not properly addressed before and overlooked elsewhere). Naturally, this does not imply that the latest-generation BurrBrown super chips, Anagram's DSP engines or SACD-equivalent upsampling couldn't produce stupendous results as well. Certainly the success of Meitner and Esoteric suggests the opposite. However, chances are high that although arriving at equally exalted vantage points -- all bona fide royalty, all from different houses, all with different heraldic lineages -- the views, perspectives and flavors of the surveyed scene would differ based on how you got there. It's all too convenient to fall for a component's sound and then subscribe to its particular implementation or specific solutions as though they were the only credible paths to perfection. Zanden's path, make no mistake, is unique and a uniquely retro/hi-tech combination of solutions. Alas, far more important than uniqueness is really this question: Does the end result reflect imbalances that arise from walking any extreme and radical vision? Or does the end result equalize to a harmonious balance of sonic attributes? Underlying that consideration is a belief: How you get there doesn't matter. Just get there. Intrinsic to such thinking is an understanding also. A reviewer cannot conclusively state that certain performance aspects he heard were due to this or that design choice. 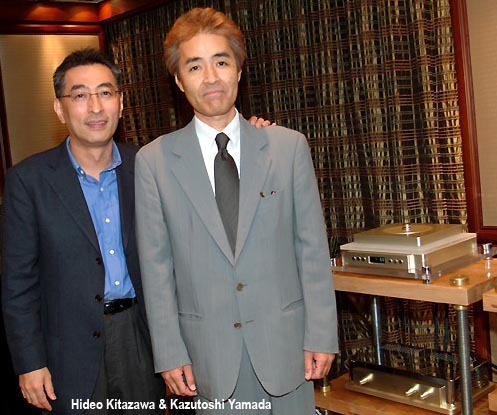 For example, Yamada-San claims that the jitter performance for his Model 2000p/Model 5000 Signature -- when connected via his I-squared-S interface -- is lower than previous statement machines by a factor of 100. If his transport obliterated my Accustic Arts Drive-1, could I conclusively state that the Zanden's superior jitter performance was directly responsible? Or the I²S link? I could not - though I'd be inclined to side with a designer who performed the comparative testing on his end. If he believed that deep-sixed jitter performance in the signal's time domain was the vital parameter for sonic advances, I'd feel forced to concur. Now, is the reason that I so far have favored Yamada-San's Model 5000 MkIV DAC over all comers because it uses tubes? Because it uses the long-discontinued 1985 Philips Double-Crown chip? Because it avoids up/oversampling altogether? How would I know? All this by way of prefacing today's review. Tech talk not only is cheap, it's liable to jump to erroneous conclusions. Let me also state the obvious: No manufacturer tells me what to write. In turn, I don't tell 'em what to market their products for. To wit, today's components are obscenely expensive - $43,440 to be precise. To boot, they don't do DVD-A or SACD. been mingling with. However, more important than a knock-out victory would be a quantitative assessment. How much of a performance delta might separate it from my current reference? By how many seconds of a lead would it pass the checkered flags? Would it suggest an entirely new class of performance or mere micro-incremental advances? My digital standard so far has been the Accustic Arts Drive-1/Zanden Model 5000 MkIV combo tethered together by Stealth Audio's Varidig via BNC/BNC connections. By comparison, would my rig remain viable as a top contender or seem suddenly declassé and passé? How much wiggle room for improvement was there really left in these strata? I savagely dislike and distrust percentile figures. After all, are reviewers binary machines? Do we process sensory input data like a computer, spitting out an itemized spread sheet at the other end (wherever that other end would be physically located)? Nonetheless, percentage figures are rather useful to get a handle on such matters. Hence I will attempt something to this effect as long as you remember that it's fraught with issues and certainly would never hold up under the scrutiny of established scientific protocol. So on matters of price and ultimate performance, I'll be invoking the 5th amendment. On matters of subjective performance vis-a-vis what I own? Let's invoke the 6th amendment of the moons: "Call it as you hear it, let others weigh in on matters of cost, value, relevance and the big picture." For additional context, look for Marc Mickelson's 2005 review of the Model 2000P transport which he announced in a recent reader e-mail published on SoundStage!. Marc is the US reviewer most familiar with Esoteric's top 70/70 offering. It's the equivalent all-out-assault effort to the Zanden separates, albeit via the super-contemporary, latest-greatest chip route. His findings should shed further light on whether a single Japanese engineer has really discovered a jitter-beater solution that's eluded the combined R&D trust of TEAC/Esoteric as well as Marc's Levinson No.37 designers. While we're still in head space city, consider the somewhat peculiar notion that a 20-year old chip -- designed and built well before the concept of oversampling had even been coined -- could remain competitive in 2005; never mind be considered one of the references to beat, at least when implemented as cleverly as Yamada-San has. This isn't some odd fascination with retro then just to be hip and different. It's a cold & hard performance equation. It perhaps also is one of the most powerful examples for how, in the end, it's implementation that dominates audio, less so specific parts, specific circuit topologies or unobtainium output devices. Needless to say, if all of these variables are so - well, bloody variable, doesn't it stand to reason that the most important part of the equation really is the designer's mental blueprint? It's here where these variables are being organized and aligned into a particular pattern of performance relationships. It's brain juice then, not hardware that becomes the final arbiter. More succinctly, it's life experience, upbringing, cultural biases, conceptual beliefs and musical exposure that shape this blueprint - plus a strange ability to translate this aural image into its hardware constituents, knowing what electromechanical aspects to tweak to get closer to the idea upstairs. Far more art than science if you ask me. It's like that movie "Lost in Translation". To translate an immaterial idea into inanimate matter such that it matches up losslessly is quite miraculous. How does one learn to do that, anyway? Taken on those terms of high art and white magic, price doesn't even enter the picture. Of course then there's this tidbit spotted on The Speculist: "Connecting a battery across the front of the head (the prefrontal cortex) can boost verbal skills, says a team from the US National Institutes of Health. A current of two milliamperes applied for 20 minutes is enough to produce a significant improvement, they found." But of course, listening to music isn't a predominantly mental activity or one that could be boosted with batteries or sundry add-ons. This will shortly get us into matters of heart space - but not before we satisfy the eye candy and geek factors. After all, those are two ultra important ingredients to any state-of-the-art cost-no-object proposition. The styling, fit and finish of these devices is immaculate, flawless and definitive reference caliber. On the feature front, there's the ubiquitous remote in a rather non-ubiquitous finish, a top-loading modified Philips Pro-2 transport with a separate manual cover, stout outboard power supplies for each main chassis, front-mounted digital input control (AES/EBU, RCA, BNC, I²S) and phase inversion on the DAC, the usual start, stop, pause, play, next and back functions on the transport. As it should, everything spells understated class and mature elegance. Nouveau-rich glitz is left to others. Where the Signature DAC differs from my resident MkIV is in the outboard power supply, the phase switch and an upgraded circuit that auto-adapts to true 7308/E188CCs or 6922s. The former is not a usual drop-in replacement and thus cannot be used in the MkIV which lacks the auto-adapt feature and must be modified at the factory to take the 7308. The Signature DAC takes either at the owner's discretion and both are included (with the 7308 a Mullard NOS bottle). Very importantly, the Signature also adds the I²S clock link over the MkIV. Clock stability is 2 x 10-to-the-10th-power and phase noise -150dBc/100Hz for the transport whose crystal oscillator is billed as the most accurate in consumer audio. 15 and 25mm aluminum panels and a 15mm sand-blasted acrylic platform create a sandwich structure for resonance control. 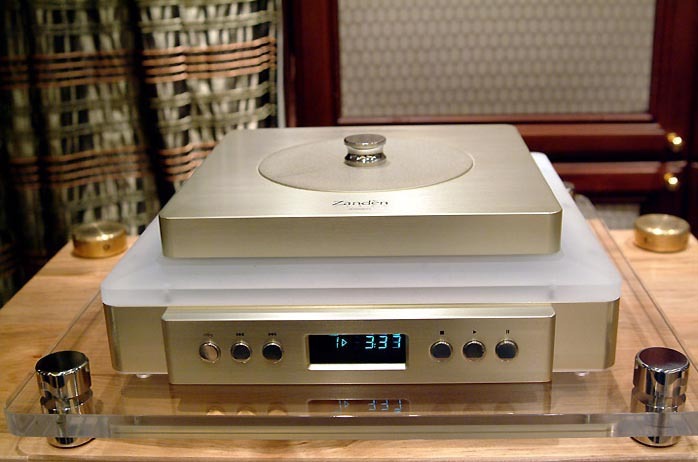 The Signature DAC, like its predecessors, uses a zero NFB, Class A valved output stage with a tube-rectified power supply (external in this case) and a 1Vrms 3kOhm output funneled through a unique and patented analog reconstruction filter. The two overriding design criteria for these components were elimination of noise and linearity of phase. We can assume analogue sound too since Yamada-San is an avid vinyl collector and justly famous for a very unusual phono stage that includes three different RIAA curves. 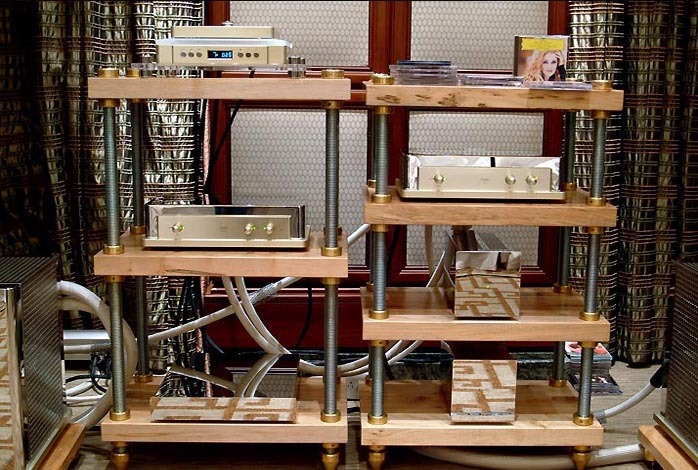 US distributor Jim Smith used to own dCS and has familiarity with Meitner, mbl and Ensemble. Why then did he sign up for Zanden despite their lack of razzle-dazzle numbers and hyper-tech allure? Once could rightly wonder. Unless, of course, the sound was really in a class of its own and flat-out the best available. As regular readers know, my long-term Zanden DAC companion already has me as one of the diehard believers in Yamada-San's aural blueprint. His head space of what constitutes good sound/compelling music coincides with my own. My question now simply was - how much better could it possibly get than what I knew? Would his transport turn out to be more important than is generally believed when the lion's share of differences (once you play in a certain league) is ascribed to D/A converters? 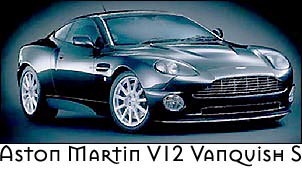 Would the Signature version of my MkIV be a significant step up just comparing those two? How much of a difference would the clock link make? The new transport feeding the MkIV? All valid questions for which I'm hoping to find the answers. Complete commentary prior to CES.